Arnold Schwarzenegger hopes viewers will overlook politics and simply enjoy what The New Celebrity Apprentice has to offer. Schwarzenegger is replacing former host and now president-elect Donald Trump for the franchise's upcoming fifteenth season, which premieres January 2 on NBC, and he's encouraging people to not let the divisive presidential election get in the way of entertainment. "I come from a marketing mentality, and the most important thing is that every American knows this show is coming on," Schwarzenegger told The Hollywood Reporter in a recent interview. "I hope everyone chills and just sees the show for what it is." The New Celebrity Apprentice is set to premiere in the same month that Trump -- who starred on the show for 11 years -- is scheduled to be sworn in as the 45th president of the United States. Schwarzenegger apparently wondered what it would be like to fill Trump's shoes in the boardroom for quite some time now. "I always thought it would be interesting to sit there, but I never thought it would happen," said Schwarzenegger, who reached out to his CAA agent when Trump left the series. "It seemed like he was going to do that for another 4,000 years." The 69-year-old former California governor intends to conduct himself in a similar no-nonsense manner on the show. "Out on the street, you can call me Arnold," Schwarzenegger told The Reporter. "But in the boardroom, it's Governor Schwarzenegger." Trump became famous for his trademark line, "You're fired," which meant a contestant was eliminated from the celebrity competition that raises money for charity. (In the now-dormant regular The Apprentice series, contestants competed for a high-salary job with Trump). Schwarzenegger, who said Trump will have no future involvement with The New Celebrity Apprentice except for executive-producing credit, revealed the network came up with his own signature phrase to say at the end of every episode. "We narrowed it down to, like, eight of my sayings from the movies and one other option, but even I don't know yet," The Terminator star confessed, noting that multiple endings were shot for each broadcast. 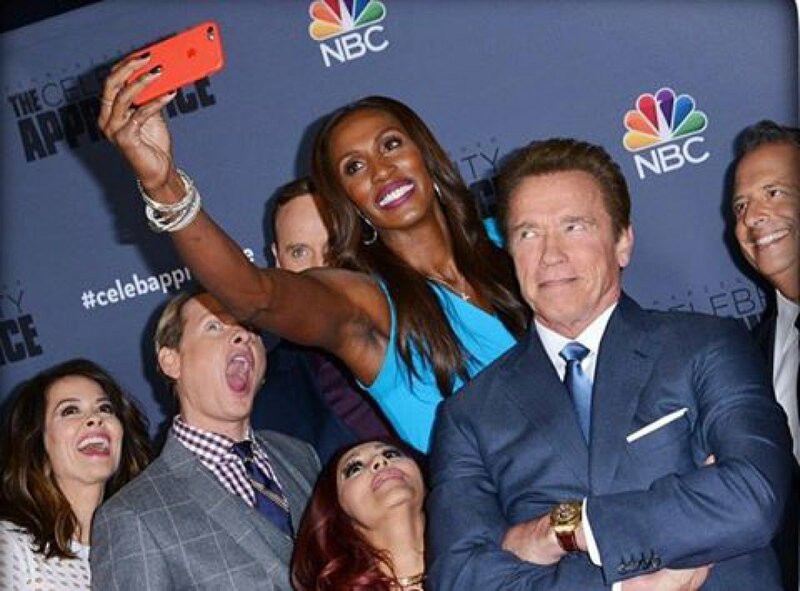 To learn the identities of the 16 celebrities who will be appearing on The New Celebrity Apprentice, click here. And for the boardroom advisers, click here.